Social media is everywhere. From being used as a tool for marketing to keeping up with friends, social media is a resource for many to be able to interact in the culture today. Whether you live across the world or in a small, rural American town, everyone is using some form of social media. This could mean anything from Instagram for posting pictures of food and vacations or LinkedIn to find the right job for you. However, as beneficial as social media can be, it also can have a negative impact on certain aspects of your life. For instance, it can have a negative impact on your mental stability as well as how you live your life. If you are constantly checking Facebook or Instagram to see what other people are doing, then you’re likely not taking the opportunities life is throwing at you. Social media can also cause us to have negative emotions because we see many other happy people doing things we are not able to do. For example, when you’re going through a divorce and you see happy couples on social media, it can cause you to feel emotionally distraught because of what’s going on in your life. If you’re getting a divorce or you’re considering getting a divorce, then take the time to contact a divorce lawyer. While a divorce isn’t something anyone wants to go through, with our expertise and knowledge, we can help you figure out the right strategy to get the best outcome possible. Keep in mind that every situation is different and we treat every client who comes to us as a separate case. In addition to divorce, The Law Office Of Ronald Kossack can also help with child custody, support, alimony, and modifications if you have a ruling that you’d like to change. Can Social Media Affect Divorce? The answer is yes, social media can affect your divorce. It can even cause detrimental damage to your divorce proceeding if you post some material that can be construed as evidence against what you had stated in court. We’ll get to more of that below in the ways that social media can affect divorce. 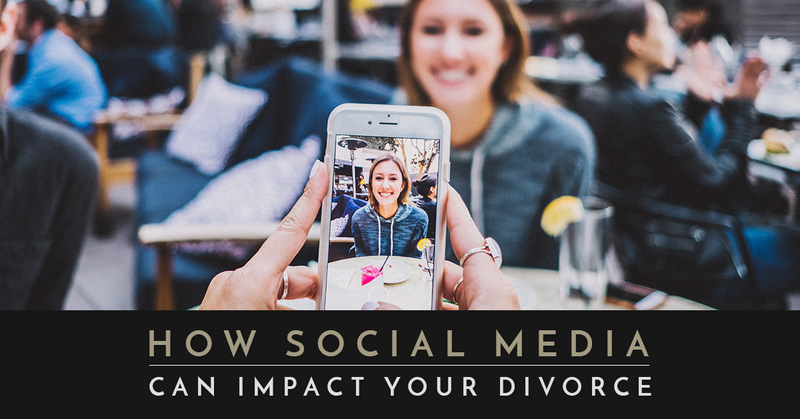 When it comes to getting a divorce, it’s essential that you are aware of what you’re putting on social media. With so many opportunities to tell the world how you feel about certain things, you might forget to keep how you feel to yourself when you’re getting a divorce. While it might be easy to rant about your partner and the situation, it’s best that you keep your feelings to yourself or confide in a friend about your situation. If you’re not sure if something you said on social media can harm you, then reach out to a divorce lawyer to learn more. Under no circumstances should you delete something until you speak to a lawyer because you could be deleting evidence for your divorce case and that would be breaking the law. There are several ways that divorce can be affected by social media. To help you know what you could be dealing with during your divorce if you post certain things on social media, we laid out some ways it could cause detrimental damage to your case. While every situation is different and you should always talk to a lawyer when you’re getting divorced, these are some ways you can cause harm to your divorce by just the simple click of a few buttons. Keep in mind that when you go through a divorce some things can come to the surface, so it’s best that you are as transparent as possible when you’re interacting with people as well as social media apps. If you’re not sure what you should and shouldn’t post or even if you should be on social media during a divorce, then contact The Law Offices Of Ronald Kossack today. The first way you can cause harm to your divorce is by showcasing new items you’ve bought or how you got a brand new promotion on social media. While you may want to brag about it, it’s best if you keep your financial status and new assets to yourself until after the divorce is finalized. If you’ve stated that you make a certain amount of money and that you don’t have any new assets, but you post a picture of you in a new car, then this can be used as evidence to prove that you have more money and assets than you previously stated. Even though you may not be friends with your spouse anymore, you have mutual friends and family. In addition, your children could mention that you bought a new car or a new piece of property because they saw it on social media as well. It might seem like it’s ideal if you don’t mention extravagant vacations, car purchases, or even new property buys, but you could harm your case if you decide to post on social media after already making a claim on your estimated worth of assets and financial status. Another way that you can harm your divorce case is posting about your dating activities on social media. While you might want to start dating as quickly as possible, you should keep in mind that your action while you’re going through a separation period or a divorce can do significant damage to your divorce case as well as the financial obligation once the divorce is been finalized. If you’re still technically married and you decide to get back out there, this is still considered to be an extramarital affair that could lead to a fault-based divorce. A fault-based divorce is when one spouse is able to continue with a divorce without the consent of the partner in a shorter time frame. By showcasing your dates on social media before you’re legally divorced, you could be preventing an entitlement of spousal support payments. When cheating is involved, it can also work against a partner who has an equitable distribution or has an alimony proceeding. Even if you haven’t showcased dating someone on social media, discovering profiles on online dating websites can still be considered as cheating. Lastly, negative comments can also hurt your divorce case. When you’re going through a divorce, you’re hurt, upset, and overly emotional. These high emotions can lead you to make some mistakes such as giving in to your desire to post a negative comment about your spouse on social media. While you might think this is cathartic, in reality, it can show that you’re aggressive and negative toward your spouse, which can damage the case. The judge will have a skewed view of the interaction between the parents and can determine that one parent is hostile toward the other. This can also harm any custody battles that are occurring during the divorce as well. When you post on social media or you speak to your spouse via email or text, it’s vital that you’re cautious so communications are not seen as admissible in court. For more information on social media check out Arizona Uses Social Media To Call Out “Deadbeat” Parents and How Social Media Can Be Used As Evidence In Child Custody Battles. If you need to talk to a divorce lawyer, then take the time to reach out to The Law Offices of Ronald Kossack.